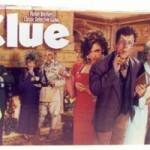 Pirates of the Caribbean trilogy director Gore Verbinski has been tapped to helm a new big screen movie based on the board game Clue for Universal. This of course isn’t the first time the game has been used to make a movie. In 1985, Tim Curry starred in Clue, which included all of our favorite characters at a mansion when naturally someone is killed. This sets off the investigation to find who did it, as well as many more murders. No word on if this new version will use the same formula, or if Verbinski and his writers will develop an entirely new murder mystery. Along with the Ridley Scott-produced Monopoly movie, Michael Bay’s Platinum Dune’s Ouiji based movie, and the recently announced Candyland movie (also part of the same Universal/Hasbro deal as Clue), this makes for a veritable epidemic of board game/toy based movies. As I’m sure many others agree, I’m really hoping this does not sidetrack Gore Verbinski from doing the movie based on the video game BioShock (Read: Gore Verbinski To Direct BioShock). While I love Clue, and I’m sure Verbinski is incredible sick of water, BioShock just has too much curiousity behind it. Too many people are dying to see how it’s approached as a film.